Consuming large amounts of red meat has long been associated with higher cholesterol and other health risks, but the recent report issued by the World Health Organization has made the link more definitive—and, for hot dog fans, more scary. WHO asked 22 scientists to review more than 800 studies from around the world to evaluate the carcinogenicity (i.e., the potential for cancer causation) of consumption of red meat and processed meats. Their findings, presented in Lyon, France, a few weeks ago and released on Monday, pushed WHO to give processed meat a “Group 1” categorization as a potential cause of cancer (tobacco and asbestos exposure share that designation, though at a much higher risk). 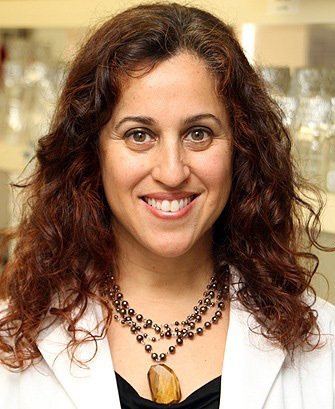 The only Californian on the panel, Mariana Stern, PhD, is an associate professor in the Division of Cancer Epidemiology at USC who has long studied genetics, the environment, and diet as it relates to cancer risk. Full disclosure: She also happens to be one of my closest friends. So I asked Mariana to clarify some outstanding questions we had around the office about what this all means, and how it could impact the way we eat. Before we get into the nitty-gritty here, The New York Times seemed to blow the WHO findings off yesterday when they reported, “the increase in risk is so slight that experts said most people should not be overly worried about it.” How do you respond? I do not agree with this entirely. Indeed, this is not an issue that the public should panic about. Even though processed meats now share the same category as tobacco smoke, the level of risk from processed meats is not nearly as large as that of tobacco smoke. That said, there are currently very few dietary items that have been comprehensively studied and evaluated across the entire literature to determine their role in cancer. We know that diet may contribute up to 30 percent of the cancer burden. Diet is the second modifiable risk factor after tobacco smoke. Given that most cancers are caused by multiple factors that act jointly, and likely in different combinations in different people, the more we know about modifiable risk factors that we can change, the more we can reduce the cancer burden in the population. Specifically, colorectal cancer is currently the third leading cancer-related cause of death in the US (the second among Hispanics! ), and accounts for 50,000 deaths a year in the U.S. and 130,000 cancer diagnoses per year. Anything we can do to reduce this cancer burden should be important to the public. These findings give us the opportunity to make changes in our diet that may lower our risk of cancer. For multifactorial cancers, like colorectal cancer, every bit we do to lower the risk counts. This comprehensive evaluation is suggesting that we should pay attention to processed meats in our diet and try to limit their intake. OK, what do you mean by “processed meats,” and does this include all meats, even chicken and turkey? 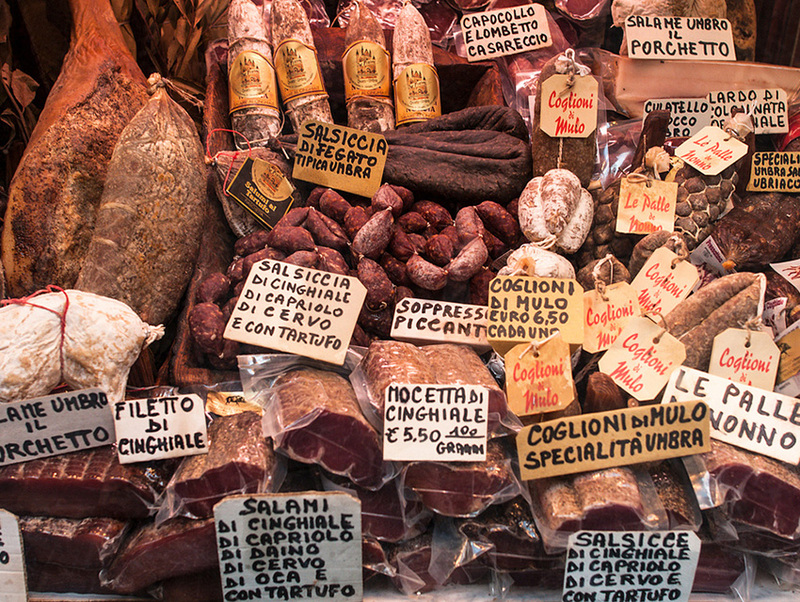 Processed meats, or “PMs,” are meats that have been transformed by techniques like salting, curing, fermenting, or smoking to enhance their flavor and/or to preserve them. This includes bacon, sausages, hot dogs, and cold cuts. It may include white meats like poultry, too, but the WHO’s Working Group was not able to distinguish red from white processed meats. That wasn’t included in the study. However, I want to mention that a previous evaluation from WHO indicated that salted fish was a risk factor for nasopharyngeal cancer. How does processing turn meat into a cancer-causer? I thought sausage was just the same parts ground up and seasoned. By the addition of nitrate salts and other chemical compounds. In the human body, nitrate salts are known to form powerful carcinogens called nitrosamines. Processed meats that are smoked may contain additional carcinogens. Are some processed meats less harmful than others? Companies like Applegate Farms trumpet the use of naturally occurring nitrates in their processed meats—nitrates from celery, for example—over synthetic sodium nitrites in more mass market-oriented cold cuts. We didn’t distinguish between “naturally” processed meats versus more industrial-scale methods—these data were not available to us from the existing epidemiological studies. That said, naturally occurring nitrate salts, such as those found in celery juice, which is used for treating these so-called “natural” processed meats, can react in the body much in the same way as chemically added nitrates. The body may not distinguish between artificially added nitrates and naturally occurring ones. Future studies should examine if the formation of cancer-causing nitrosamines is perhaps lower in naturally treated meats than traditionally treated ones. Until that evidence is out there, we should probably consider these meats just as processed as others. That’s a bummer, those natural processed meats are a staple in my lunchbox. The Working Group also documented increased cancer risk for consumption of beef and pork—even without any processing. Where does that risk come from? One of the key mechanisms by which red meat may increase cancer risk is due to the presence of heme iron, a molecule that transports iron in blood. High doses of heme iron have been linked to several harmful effects in the body, in particular the colorectum. High levels of heme iron are present in red meats, and this will not change based on the feeding approach used for cattle. What if I processed the meat myself at home, or if I ate it at a fancy restaurant that is butchering in-house and processing everything itself? Does that matter? If they end up using a smaller amount of the nitrates for smoking, yes; if the final levels of nitrates are comparable to store-bought processed meats, probably not. Again, the new generation of studies will have to look at these different types of meat sources to refine the evaluation. Wood-fire grilling is a big craze in restaurants these days. Is this hurting our health? Meat cooked over flames is known to accumulate polycyclic aromatic hydrocarbons (PAHs), which have been linked to cancer (they are also present in other combustion products, including cigarette smoke). Also, meats cooked at high temperatures (regardless of flames or no flames) accumulate heterocyclic amines (HAAs), which are powerful carcinogens. So the mechanistic evidence suggests that meats cooked in this way may be harmful. Chicken cooked at high temperatures has been found to accumulate HAAs, too. There is evidence that marinating red meat in soy-based sauces can reduce the formation of HAA. Does that apply to slow smoking, too? Temperature and cooking duration are both determinants of HAA formation. The higher the temperature and the longer the meat cooks, the more HAA that form. A recent study suggests that a Mediterranean diet—one that’s sparing with red meat but involves leaner animal protein, grains, greens, and olive oil—is associated with reduced Alzheimer’s risk. Now this study is emphasizing another benefit of cutting down on red meats. But research is also suggesting that many fish these days don’t just contain mercury but also plastic and fibers from artificial materials. All three of those are potentially carcinogenic. So it seems like you’re kind of screwed no matter which way you go! The Mediterranean diet is a great example of a healthy diet: limited red meat and animal protein, but lots of fiber from fruits, vegetables, olive oil, and grains. I understand that the purpose of the Working Group wasn’t to come up with dietary guidelines, but the question remains: How much meat is safe to eat? Until newer recommendations come in light of our findings at the WHO panel, we should follow the current recommendations from the World Cancer Research Fund, an organization that has been evaluating diet and cancer for more than a decade. These recommendations are based on much of the same literature that we evaluated. They advise to limit consumption of red meat to less than 500 grams (18 ounces) per week, so roughly about 71 grams per day (2.5 ounces), with as little as possible being processed meat. For comparison, a hamburger is anywhere between 66 to 85 grams. So perhaps one way to process all of this information is to think about limiting those dietary factors that now are known to cause cancer (e.g. processed meats), that are possible cancer causing agents (e.g. red meat), or may cause cancer or other disorders (e.g. contaminated fish), and to enrich the diet with factors that have been found by many studies and comprehensive evaluations to protect against cancer and other diseases, including fruits and vegetables, grains, and healthy fats like olive oil. Most importantly, be physically active and keep a healthy body mass index. Some Internet headlines about your study are implying that eating a hot dog a day is as much a risk as smoking a cigarette a day. Sounds like that is a mischaracterization. Yes, it is. We cannot compare these two carcinogens side by side in this way. For reference a hot dog is 45 grams. The epidemiological evidence, when looked jointly through meta-analysis, shows that for every 50 grams per day of intake of processed meats the risk of colorectal cancer increases by 18%. So roughly, if you ate 50 grams per day of processed meats during your life, your lifetime risk of colorectal cancer would go from 5% to 6%. You are from Argentina, which is famous for its meats. Has studying the potential effects of meat consumption changed the way you eat? I have been studying the role of meat intake and cancer, and diet and cancer in general, for almost a decade now. And yes, it has influenced what I eat. I am currently a vegan. Has the panel already experienced pushback from the beef lobby? They have made it very clear already that they do not agree with our findings. Some of them claim that we squeezed the data to get these results, which is not true. We looked at every single study published out there and took a very systematic approach to make the final evaluations. This approach has been used by IARC/WHO for decades to evaluate 900-plus agents and it is very clearly spelled out in its preamble. All members of the Working Group were independent researchers with no conflict of interests on the outcome. Many of the members of the beef industry were present as observers and they got a chance to see how carefully we evaluated the evidence. What are some of their key claims? We’ve heard theories on why so many people are gluten sensitive. It’s too early now, but if you were to speculate, what do you think might be an evolutionary explanation for why an omnivorous human experiences a heightened cancer risk from eating meat? I am not an evolutionary biologist so I’m not exactly the expert to comment on this, but it has been hypothesized that our body has not evolved that much from the time we were hunter-gatherers, yet we do not live like our ancestors lived, which leads to a “mismatch” between our body adaptations and our lifestyle, which may lead to diseases. Hunter-gatherers would travel 10 to 15 kilometers per day to gather food, would eat meat sporadically, and were physically active at a level that we are not today. We evolved to crave carbs because they gave us the necessary energy to survive back then, and to hike the entire day to gather food. Meat consumption in the Western world is much higher than what it was likely back in those times, and we are not as physically active. Yet we still crave carbs, we eat highly processed foods (something our ancestors did not have! ), and we are perhaps exposed to more carcinogens than we had been before, through food and air pollution and other exposures. Science being science, we do the best we can with the knowledge we have at any given moment. And it turns out that we can end up reversing ourselves down the line as new findings come out. I’m thinking of the many reversals regarding, say, coffee—now it’s considered healthful—and various nutritional supplements. A recent study found that fish supplements and calcium supplements offer no benefit whatsoever. Do you think we’ll be reversing ourselves on this one at some distant point in the future? A lot of these reversals happen because individual studies are cited, get a lot of press attention, and then a new study comes that contradicts that, and it gives the public the impression that we do not know what we are doing or saying. I get it. But there are comprehensive evaluations of the literature—like this one—that are done every once in a while and those tend to be most informative, and those are less likely to change in opposite directions. In fact, dietary factors that have been comprehensively studied and evaluated and found to increase risk of cancer are few. I think that different organizations, ourselves in academia included, should do a better job of educating the public. I cannot say with 100 percent certainty, but I do not think the evidence on processed meats is likely to be reversed. Perhaps we may be able to further refine the safe intake levels to better advise the public and understand better the possible mechanisms.